Ahead of her book launch, ‘Duty of Care: An Executive Guide for Corporate Boards in the Digital Era’, certified corporate director Alizabeth Calder is publishing a five-part blog series on IT World Canada examining 10 trends that will be shaping discussions in corporate boardrooms in 2020. Today is Part 5 of 5. A trend is a movement; a shift in thinking or direction; a change in perspective. The key trends that will be impactful going into the next decade are not about technology – they are about what will be different for business. Business-procured IT, otherwise referred to as “shadow IT,” is back. It is not a bad thing. Business teams are getting behind new technologies and transformational strategies. As they establish technology-focused teams and projects they will become more empathetic about the challenges we face – such as resource limitations. Where we can share the cost of acquisition with the business, we will be more able to successfully partner to deliver. As an example, PWC suggests that 90 per cent of the cost of an RPA project is in the business implementation. Having the business acknowledge what they need to invest in brings them fully to the table, which will be much better than having the project done “to” or “for” them. In the old days, shadow IT was synonymous with funding gaps, support inconsistencies, and architectural compliance challenges. The current trend is toward business partnerships that will help formulate the most meaningful pilot projects to address pain points. Any trend that improves your alignment with the business should be embraced. The Wall Street Journal suggests that every company must now be considered a “tech company” . As a trend, that pushes CIOs to ensure strong governance to help manage both the interconnectedness of the trends and the critical digital journey. Consider the other nine other trends discussed in this article. You can’t help but notice the interconnectedness. Data and robotics create unheard of levels of reliance on partnerships; AI and robotics are critically dependent on delivering to outcomes; AI depends on data and it carries significant privacy concerns; Security is a key contributor for privacy and is increasingly dependent on AI to deliver successfully; Skills are a challenge that traverses all of the other trends. To be ahead of the trend in governance, your strategy can no longer develop without a discussion of digital enablers and obstacles. Consider the traditional four stage strategic planning cycle, as shown in the diagram below. Following a traditional strategic planning approach, as shown on the left, the business teams would work around the model to ideate and deliver a strategy recommendation up the ranks for discussion and approval. In that scenario, the CEO and board might be at the approval stage when someone says “What about AI?” Taking a traditional model, that question either disrupts the entire planning cycle or it goes unanswered until the next round of ideation informs strategy preparation. Stronger governance models now expect engagement from early preparation stages right through monitoring of strategic execution. CIOs can support the CEO and board with that governance by changing their engagement in each of the four stages of strategic planning. 1 – Strategy preparation is about ideation and investigation. Look for the opportunity to get some input from the CEO and board about what digital trends are on their minds before you get too far into the preparation. 2 – Strategy formulation is about the development of options. Look for top down participation, ideally up to your CEO and Board, when you are talking about options. 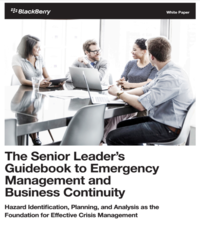 Don’t shut down your investigation and move on to recommendations without understanding any non-technical considerations or business options that you may have missed. 3 – Approval and execution is where you are fully informed and positioned to make digital strategy recommendations. When you make recommendations, be sure to include your plans for tracking execution to measurable outcomes. 4 – Monitoring for impact is the final stage in the process. It is how your team demonstrates successful execution, and it closes the loop by providing insight for the next cycle of ideation and investigation. Whether this stage is the purview of a Steering Committee or the CEO, it is critical to oversight. Get ahead of board-level governance requirements by proactively delivering a strategic scorecard. By aligning with clear outcome-based measurements in the third stage, this final stage can provide a backstop for the strategic investments that are being made and can set the foundations for the next strategic planning cycle. Technology governance can only get better with the trend toward digital acuity at the officer and board level. It will also, however, introduce new challenges and opportunities. We will need to articulate strategy from within the organization to build and sustain alignment. We need to make the digital strategy conversation compelling enough that officers and directors want to participate. We will be held more accountable for execution and outcomes. 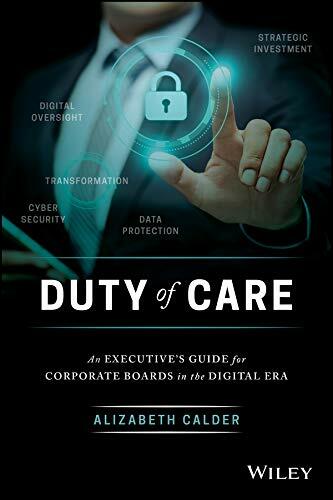 Duty of Care: An Executive Guide for Corporate Boards in the Digital Era is available on May 7. Alizabeth Calder is a senior technology strategist and a certified corporate director (ICD.D) Alizabeth is also a successful author. Her most recent project – Duty of Care; An Executive Guide for Corporate Boards in the Digital Era – is a much-needed guide for business leaders who need to close their digital knowledge gap in order to make the right decisions about digital technology investment and deployments. Alizabeth has been an active CIO since 1997. Her strategic accomplishments cross many industry sectors and demonstrate the practical value she brings to the digital conversation. As a CIO on demand and consultant, Alizabeth has delivered more than $1B in transformational investments.